Library relocation can be a little overwhelming especially if it’s your first time doing it. The amount of workload, time frame, manpower and even the actual planning requires great effort and time. As a matter of fact, focusing only on one of those aspects is not advisable since all of them are necessary to have a successful move. Library Relocation Sydney team can give you a helping hand. Of course, you want to start and end right on moving your library. But how will you be able to do that? Are you considering to do the task alone or let some library relocation Sydney team do it? Or you’ll just rely on your friends’ advice? Making a choice is already stressful, how much more if you’re already doing it? Worry no more though! We have here some helpful ways for a convenient and hassle-free move. Before doing the relocation, you have to consider a few things: One; know the size of your library. Does it have thousands of books and big shelves? Two; check your schedule. When is the best time to do the move? Three; storage of stuff. Where are you going to keep the things that you no longer need at the moment? These questions need to have applicable answers since your library move is at stake. The planning itself is already complicated but it will be useful since this will be the layout of how you will do your move in the future. Try to start with basic things like, ‘how are you going to remove the books from the shelves?’ Are you going to do it in chronological order or just a random way? Next is, in what way are you going to lift the shelves? Are you going to hire people to do the lifting or you’ll use equipment instead? You could make a list of these things to consider so that you won’t miss any of them. People are important in doing a relocation because they could give you big ideas when you start planning up to the actual moving process. When you’re finally done with the planning, you have to form a team. This team needs to be reliable throughout the operation of moving and ensure that they can make the move as easy as possible. Each of them must have unique expertise that can contribute to the team. Moreover, this library relocation Sydney team is considered as the foundation of ideas and building force of your move. Considering that you and each members’ intentions are only one and that is to have a smooth transfer. Communication should be one of your top priorities. Opinions and suggestions can help you come up with better ideas when it comes to library relocation Sydney. You’ll never know if your team has better thoughts than yours which might be favourable to you. It only means that you choose the right people as your members. And you, being the leader of your team, have to be open-minded and be considerate with their ideas. Indeed, having a connection with your team will help you come up with great result. Your team can provide details on how to get ready for the move, on what and what not to pack and more. In fact, they can even help you decide whether hiring a moving expert is a good idea or not. You need to discuss your own expectations as well to the entire team during huddles before the move commence. After you finalise the plan, it’s time to execute the library move. This is going to be the easiest part when you have your plan layout well-outlined. With the help of your team, follow your strategic plan and ensure that you do exactly what is in the layout. Start from easy to complex tasks. Remind each member of your team with their tasks to avoid unexpected inconvenience in the middle of the moving process. A midway inconvenience of library move would be like domino; once it has started, it’s going to be difficult to stop. So, it is necessary to ensure that you properly execute what was originally on your plan. Moving your library isn’t easy. As we mentioned above, it takes a lot of effort and time which can be tiring even if you just think of it. So, we suggested to you some ways to make your library move be an effortless endeavour. But when you find yourself lost in the middle of the process, you could prefer hiring movers instead and ask for their assistance. They’re more than willing to do the hard work for you. Furthermore, library relocation Sydney companies will make sure your move will be as easy as you can imagine. Are you planning to have a relocation soon? Business Relocation Services can definitely help you. We offer great services that are applicable to the type of your relocation. Whether you’re relocating a business, commercial or office, we can surely assist you along the way. 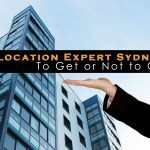 You can also check this article to help you find an expert who will assist you with your relocation: Relocation Expert Sydney.